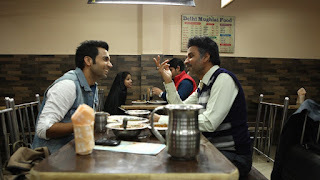 The dominant theme of Hansal Mehta’s Aligarh is homophobia, but it also captures the ugliness, narrow-mindedness and hypocrisy of small town India; plus the total disregard for an individual’s privacy. The life of a quiet and dignified professor is upended when two men barge into his home and film him with a rickshaw puller. He is suspended from the university, as students shout slogans and kick his effigy. A journalist, Deepu Sebastian (Rajkummar Rao) wants to do a story on the incident, as he can perceive that there is more to it than initial reports let on. He gains the trust of Siras and a warm friendship develops between them. Siras challenges his suspension in court (Ashish Vidyarthi plays his lawyer) and wins, but he is found dead a few days later—maybe suicide, more likely murder. Mehta and his writer, Apurva Asrani pick this forgotten piece of news reportage and make a film that stands for the right to privacy, challenges existing perceptions about gays often propagated by Bollywood movies-- Siras is not a limp-wristed, mincing caricature, but a man who carries his dignity and sense of melancholy with him like a security blanket. To violate the privacy of such a man seems doubly monstrous. Aligarh has it loud and light moments, but it is more effective precisely because it does not shout and rant. Manoj Bajpayee’s performance is a master class in acting; even though Rao has a tough time keeping up, he plays the hyper-energetic young journalist with a lot of charm. The film is worth supporting, particularly because the times call for compassion and tolerance.